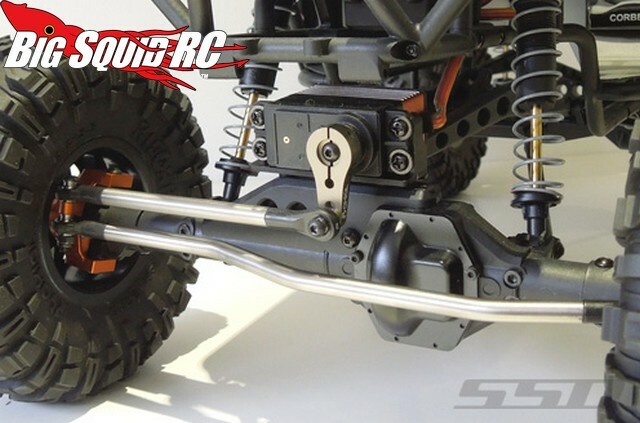 SSD RC Titanium Steering Links for Axial Wraith & AX10 « Big Squid RC – RC Car and Truck News, Reviews, Videos, and More! New from SSD RC are Titanium Steering Links for Axial’s Wraith and AX10. Titanium is both light and strong (not to mention trick) and SSD’s link can help beef up the steering on your Axial. Each steering link kit comes with a steering and drag link along with durable plastic rod ends with metal balls. The part number for the steering links is #SSD00021, they are available right now, and you can hit up This Link for more details. Want to read more SSD news? Check out This Link on BigSquidRC.